You'll have to convert to Canadian law. My mum's friend did this, I think it takes a couple of years. My advice to the OP? - Try googling your question. "I have a law degree from another country. How can I qualify to practice in Canada? To find out what further education a foreign-trained lawyer needs to complete in order to practice law in Canada, please visit the National Committee on Accreditation (NCA) web site: http://www.flsc.ca/en/foreignLawyers/foreignLawyers.asp"
"England, Wales, Australia, New Zealand, West Indies, Nigeria, Hong Kong, Singapore, etc. Applicants from England (including External LL.B. 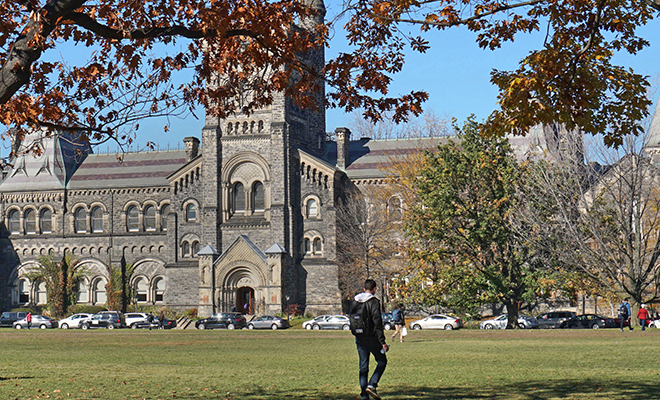 degree programs), Wales, Australia, New Zealand, West Indies, Hong Kong and Singapore can expect to be required to take 30-60 credit hours in a Canadian law school or equivalent challenge examinations if they have obtained a Second Division standing (or better) in a 3 year honours law program following upon an undergraduate degree. Applicants who take a 2 year law honours program with a Second Division standing (or better) are usually asked to complete more credit hours or examinations than applicants with three year degrees. The Committee looks behind the applicant's class of degree and also takes into account actual grades (including first year grades) in all subjects. In particular, the Committee looks closely at Second Class degrees and evaluates the range of marks achieved. Most applicants (whether with 2 year or 3 year law honours degrees) are asked to take at least the courses or write challenge examinations in the subjects, listed under "B(2) Prescribed Subjects/Courses". The Committee also credits successful completion of examinations of the Law Society or Bar Finals and completion of articles/pupillage. In addition, the Committee will take into account professional legal experience, the quality of experience and the years of practice following admission as a solicitor or barrister. Example: An applicant with Upper Second Class degree (or better) standing in the top 25 percent of the program in a three year honours LL.B. degree who has been admitted to practice as a solicitor or barrister on the basis of examinations and completion of a two year "training contract" or pupillage and with less than 1 year's experience will usually be asked to complete successfully 2 to 6 examinations; with 1-3 years of professional legal experience, 2 to 5 examinations; with 3-5 years of experience, 2 to 4 examinations; and with experience in excess of 5 years, 1 to 2 examinations. As noted above, the NCA takes first year marks into account in its evaluation. Example: In circumstances comparable to the above, an applicant with a Lower Second Class honours law degree who has been admitted by way of examination to the Law Society or as a member of the Bar but with less than 1 year's post-admission experience may be asked to pass 2 to 8 examinations; with 1-3 years of experience, 4 to 6 examinations; with 3-5 years of experience, 2 to 5 examinations; and with experience in excess of 5 years, 2 to 3 examinations. Applicants with Third Class standing (or lower) do not usually receive any advanced standing. They may, however, receive advanced standing on the basis of their admission to the Law Society or as a member of the Bar and post-admission professional legal experience. Example: A graduate with a Third Class degree from a 3 year law honours program who has been admitted as a solicitor or as a barrister and has practised for 1-3 years may receive 1 year's advanced standing; with 3-5 years of experience, 1½ years of advanced standing; or with experience in excess of 5 years, 2 years advanced standing. Applicants who have been admitted as solicitors through articling (but without a law degree) are also considered for advanced standing on the basis of their particular program of studies and experience. Example: An applicant who has been admitted directly as a solicitor (without a law degree) with 1-3 years of professional legal experience would usually be asked to pass 2 to 6 examinations; with 3-5 years of experience, 2 to 5 examinations; and with experience in excess of 5 years, 2 to 3 examinations. * relevance of the practice to Canadian legal practices and institutions. Applicants are urged to furnish comprehensive supporting documentation from their licensing body indicating the number of years of standing as a licensed practitioner, testimonials of support from fellow professionals, etc. The NCA also allows qualified candidates to write its challenge examinations to qualify for the Certificate of Qualification. An applicant is usually "qualified" if he or she was admitted by bar examinations after an LL.B. degree and practiced law in a common law or hybrid common law system. The examinations may be written in two ways: (a) as part of a Canadian law school's LL.B. program or (b) through the Committee's special examination procedure. Please note that only applicants who have been formally evaluated and have received their letters of recommendation outlining their prescribed courses of study may purchase the Committee’s exam syllabi. * (a) Applicants may seek permission to register as a special student in a Canadian LL.B. program and write the required examinations as part of their program of studies. Upon successful completion of the examinations, the applicant should send the Committee an official transcript under seal from the University. Applicants must attain an unconditional pass in each subject. Admission as a special student and the examinations are governed by the law school's rules. Some faculties may require the applicant to write the Law School Admission Test (LSAT). oh nice to hear did ur mum's friend had a LLB degree from england or a non-law degree + GDL/CPE + LPC/BVC ? She did a law degree, but then moved to Canada as she married a Canadian guy. I just did GDL online and I can also get LLB if I do another 6 months online courses (Graduate LLB) as a top up. My concern is even I got undergraduate and masters (not in law) in class, will I be able to meet NCA requirements for 2 years in class legal education ? I'm thinking of taking LLM Common law at UBC after moved to Canada . Any advice please ! GDL after a French "licence en droit" LLB ? Converting from Scottish to English Law with GDL? What about masters? Is GDL appropriate for QLTS?